Community boat launch ramp w-access to Columbia River. River front beach commons, playground and basketball court. Wind surfing at Jones Beach, approximate 3 miles east from River Ranch. 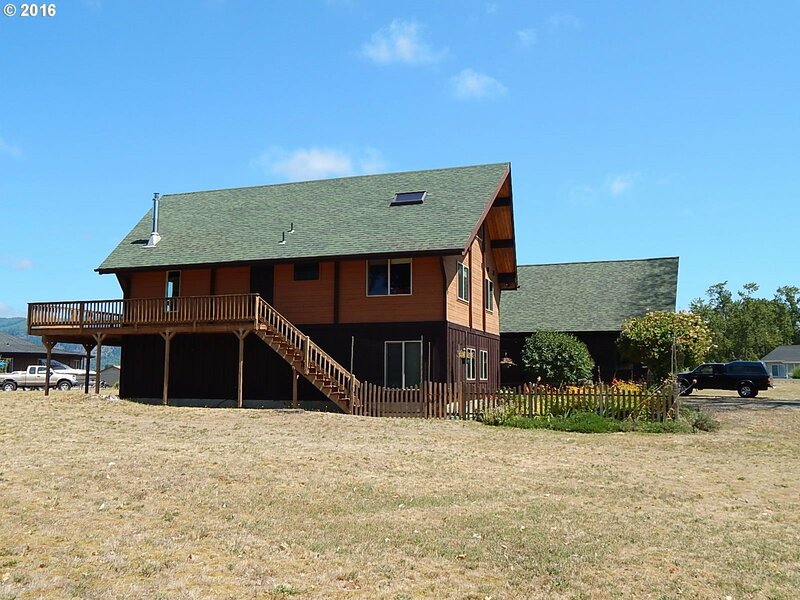 MILLION DOLLAR COLUMBIA RIVER VIEWS & ACCESS! Tucked away private, rural community w-knock your socks off river views. Beach is steps away, playgrd, b-ball court. Boat launch ramp for river access. Rustic custom hm w-tongue-groove vault/beam ceilings, soaring chalet windows, 915sf of wraparound deck. Add'l guest qtrs in finished garage loft. Boat pking shelter, shop w-220V in garage. Added docs, details & 99 pictures at agent URL. Amenities Remarks Room: Add'l 448sf Guest Qtrs W-Jenn-Air Stove In Loft Above Garage, Accessed Of Main Deck. Propane Gas Hookup For Bbq On Deck. Shop In Garage W-220v & Dedicated Main Panel. Lean To Boat Shelter. Community Beach & Boat Launch Ramp.